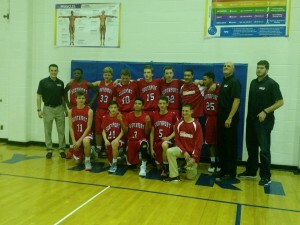 Last week, the SMS 8th Grade Boys Basketball team sets a school record for most wins in a season, with 17 wins. The team had an overall record of 17-3 on the season. Great work gentlemen!